Blockchain is a technology that has more applications than we know of, and we are yet to scratch the surface. Many projects utilize blockchain at its core like Bitcoin, Ethereum, and Hyperledger. In layman’s terms, Hyperledger is not an implementation of another blockchain, however, merely a collaborative development of a set of specifications on how blockchain-based distributed ledgers should work in a trusted network. It was created and designed by Linux Foundation. Hyperledger is a collaborative and open source project, and the primary objective of the project is to initiate cross-industry collaboration to improve the performance and reliability of the systems. There are various specifications with several implementations of Hyperledger. Fabric is designed and implemented from IBM. Each Hyperledger is an implementation of its own version and currently not compatible with each other. Hyperledger Fabric is intended for developing an application or solution with modular architecture at its base. It allows the components of the said architecture to be more interactive such as plug-and-play, membership services and much more. Hyperledger Iroha is a business blockchain framework designed to be simple and easy to incorporate in projects that require distributed ledger technology. Hyperledger Burrow is purely a permissionable smart contract generator that provides the smart contract to be built with the specification of Ethereum Virtual Machine (EVM). Hyperledger Sawtooth is a platform for building, deploying and running distributed ledgers including a consensus algorithm and Proof of Elapsed Time under minimal resources. Hyperledger Indy contains tools, libraries, and components that provide digital identities based on distributed ledgers. Open source code base, so diverse developer community. Even as cryptocurrency payments are being preferred in recent times, fiat currency payments are still working as the core engine in the banking sector. There are challenges in payment processing like separate records for a separate transaction that is prone to errors and paper intensive. And there is also the middlemen who need to be paid. To overcome all these roadblocks, a global team of developers have taken the cross-border payments sector and built a POC with the foundation of Hyperledger Fabric. It is designed to optimize payment instructions, transaction details, native assets, foreign exchange and verification onto a single integrated network. Hyperledger blockchain is giving the healthcare industry a total revamp where the traditional industry has fallen short. Sharing of patient’s data records to another organization was frowned upon and was not done to preserve the patient’s security and anonymity. But for various reasons, sharing of patient’s data has become essential. To achieve this, Hyperledger Composer offers a set of APIs, a modelling language and a programming model to deploy networks that allow the healthcare organizations to exchange assets and transactions of the patients’ data. Hyperledger Fabric is the core power source for various diamond supply chain applications that will facilitate the tracking of diamonds from mine to market. The transparency of Hyperledger Fabric will initiate the certification of diamonds after it has gone through the auditing process. This will keep the blood diamonds from entering the supply chain. Every diamond that has entered the supply chain will be registered with an ID so it will provide the reliability to any stakeholder who questions the diamond’s integrity can be proven immediately. The Music Industry is going through notable changes with blockchain technology where people choose to pay for listening to a song using a cryptocurrency of their choice; a smart contract will automatically split the gathered revenue between the artist and their collaborators. It could greatly benefit the artist and eliminate the existence of middlemen along with a shared global database so there is no problem of Intellectual Property being mixed up. 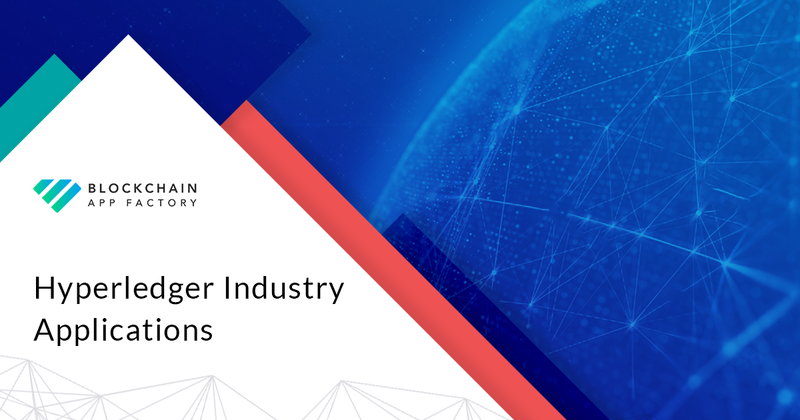 Hyperledger is gaining its stronghold in various industries and if you are an entrepreneur who thinks you can benefit from Hyperledger, then your search ends with Blockchain App Factory. We create unparalleled Hyperledger Solutions with accurate specification framework tailored to suit your business needs.